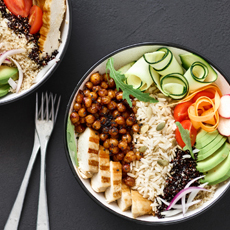 Summer is finally here, but in between trips to the beach, taking the kids to the pool and chaperoning countless playdates, it can be hard to find the time to make a healthy, home-cooked meal. Don’t let life dictate your diet – if you’re looking for a food that’s both delicious and effortless to make, we’ve got the perfect answer: tacos! With minimal cooking necessary, tacos are the perfect way to provide your family with a tasty, satisfying meal in little to no time at all. That’s why we’ve put together a list of our favorite taco recipes —full of healthy veggies, the whole family will love these better-for-you variations. 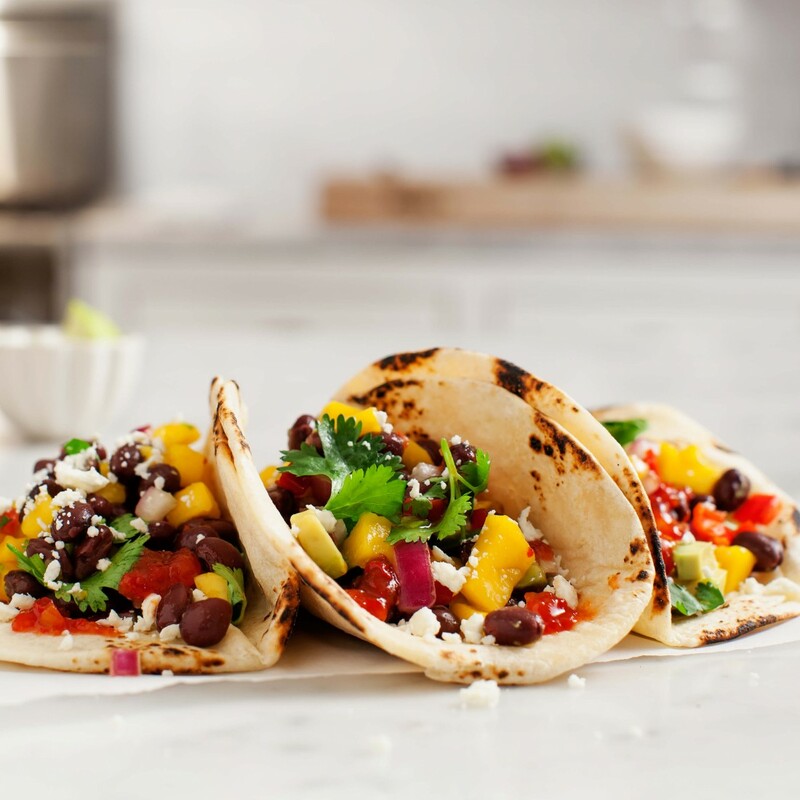 Honey-Lime Sweet Potato, Black Bean and Corn Tacos For a tasty and tangy summer meal, try these black bean, sweet potato and corn tacos drizzled with a delightful honey lime dressing. 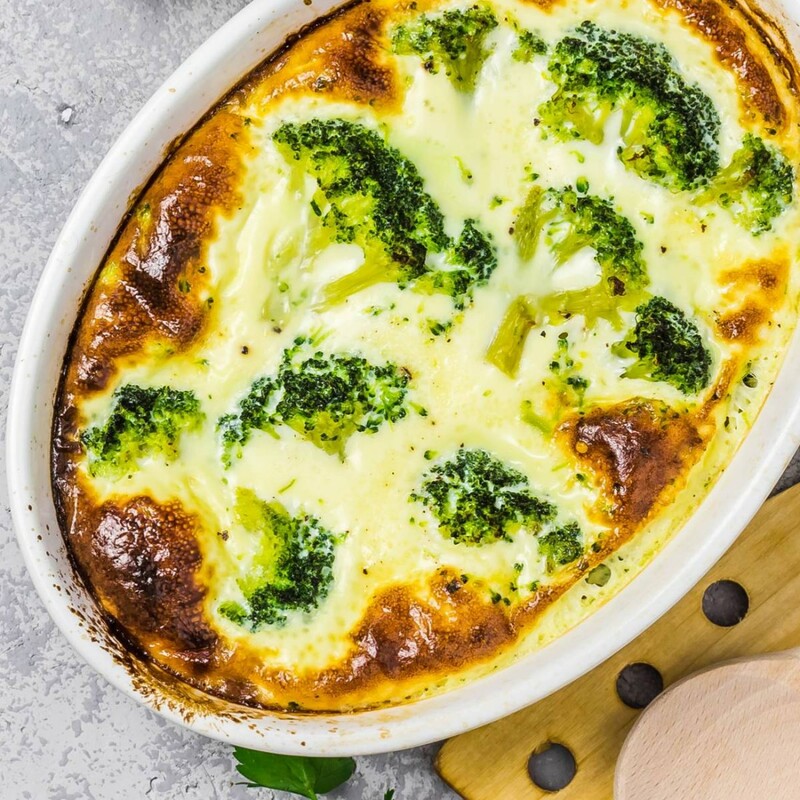 Full of healthy carbs and fiber, this recipe is a delicious way to power your family through their activity-filled summer days! 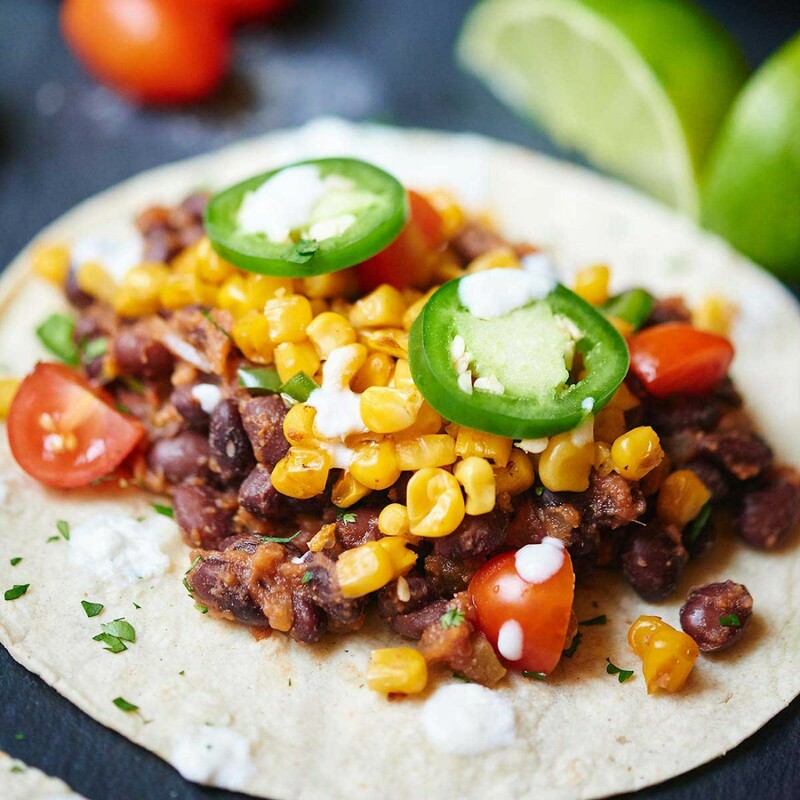 Black Bean and Roasted Corn Tacos Embrace the season by turning a family dinner into an outdoor fiesta.Create a DIY taco station using this easy idea made from organic black beans and roasted corn. Your family will love creating their own taco (almost) as much as eating them. 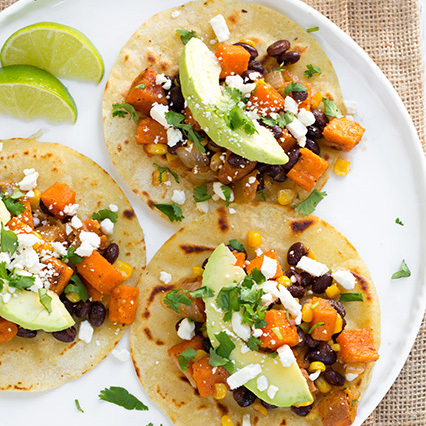 Butternut Squash & Black Bean Tacos Veggie-based tacos make it easy to eliminate unwanted fat and calories from meal time. This recipe blends hearty organic black beans, sweet roasted butternut squash and crisp cabbage slaw, which will leave you savoring every bite. Vegetarian or not, the whole family will adore this recipe. Mango Habanero Black Bean Tacos If you can’t go on vacation, bring the vacation home! Whip up a batch of these tropical-flavored tacos and enjoy them outdoors with your family. With only 30 short minutes needed to make this recipe, you won’t have to worry about spending a ton of time in the kitchen. Quinoa Black Bean Tacos with Avocado Sauce For a healthy taco hack, add quinoa to your filling. 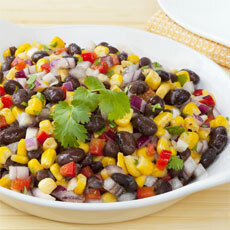 While the grain is typically viewed as a side dish, it makes for a tasty and nutritious taco addition. This recipe pairs quinoa with organic black beans and creamy avocado for the perfect amount of fiber and fresh flavor. 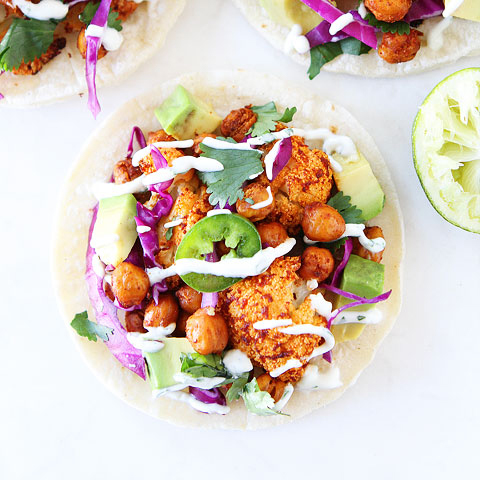 Roasted Cauliflower and Chickpea Tacos With the abundance of unhealthy, fried summer foods, it’s crucial to provide your family with something nutritious whenever you can. If you’re running short on time, try this easy-to-make recipe crafted from roasted cauliflower and organic garbanzo beans. 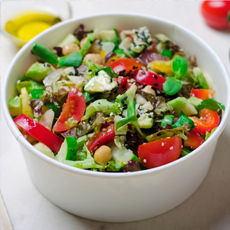 Full of vitamins and nutrients, this will easily become your summer go-to. These six easy, healthy taco recipes are a total game changer for summer. We’d love to hear which recipe was your family’s favorite. Share your photos with us on our Facebook or Instagram for your chance to be featured on our page!